The German-born Preu, 47, who has directed orchestras in Spokane, Long Beach and other U.S. cities, is known for his innovative programming, promotion of American music and flair for the unexpected. It seemed a good fit for Preu (rhymes with joy). The orchestra’s summer schedule worked well with his other commitments, and the smaller ensemble would complement his symphonic work. The CCO decided it was a good fit, too, and announced Preu’s appointment in late October. He’s excited about the possibilities. 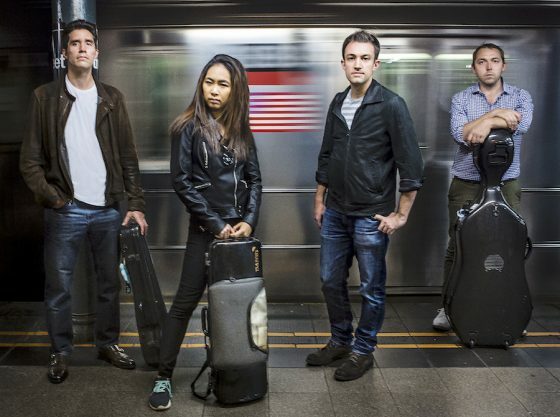 “The chamber orchestra is interesting in that … it has its own unique repertoire,” Preu said. “The advantage is, if you do it right, it provides an experience a big orchestra can’t. How will he approach his new position? What shape might that take? “You can do a lot of interesting juxtapositions, programming-wise,” Preu said. 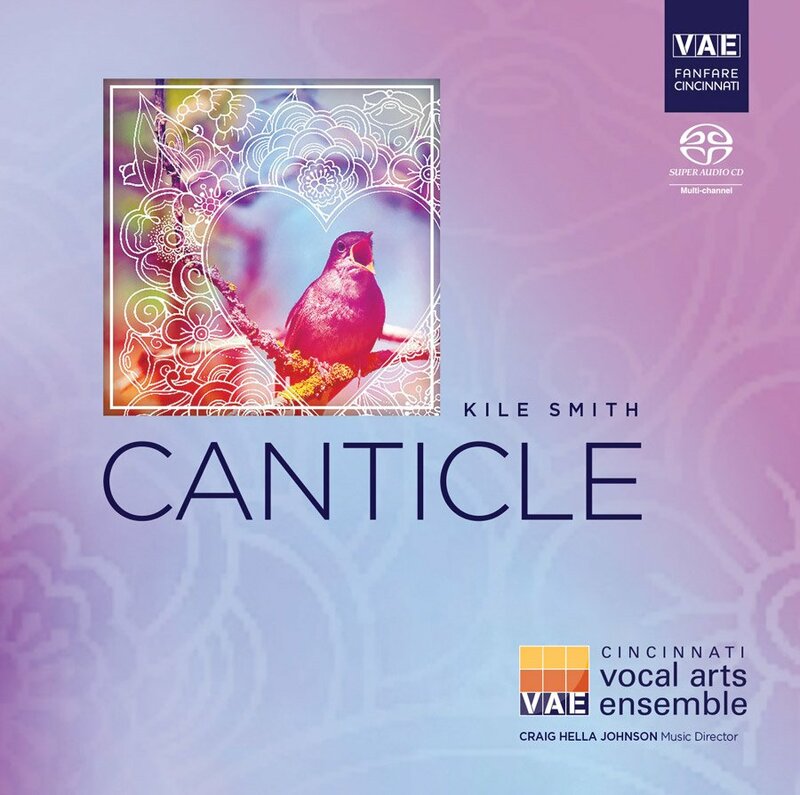 “You can mix classical and contemporary music. You can do interesting and unexpected collaborations, and not necessarily the obvious ones. “With a small orchestra, you can play anywhere in town. With 10, 20, 30, 40 or 50 musicians, you can select venues and partners. Dylan Shelton is a hands-on leader. Literally. He has his hands on hammers, paint brushes, construction material and fabrics as he helps build sets and costumes for Madcap Puppets, the 35-year-old theatrical troupe he took over in March. Fortunately, he says, his hands are clean enough to pick up his phone during an afternoon of shop work and talk about the organization he has been a part of since 2002. Letting go of some of this hands-on puppetry to do more administrative work is proving to be tough. “It’s a bit of growing pains when you leave behind things you enjoy doing, like training puppeteers, hiring actors from across the country, introducing them to the craft of puppetry,” he said. 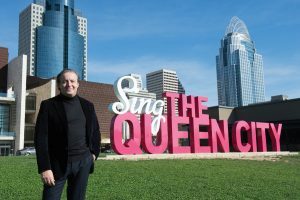 This will be his first stint as director in a production the troupe has become well-known for, the chamber opera “Amahl and the Night Visitors.” Performances featuring Madcap puppets, singers and the Cincinnati Chamber Orchestra are set for Dec. 21-23 at Xavier University. Shelton performed as one of the larger-than-life puppets in previous productions of “Amahl,” and he has a special affection for the show. Shelton sees a couple of main goals for the company. “First, to maintain the art of puppetry in the public eye,” Shelton said. Then, longer term, Madcap wants to transition into a permanent space in the revitalizing Westwood business district, possibly to be called the Madcap Puppet and Education Center. 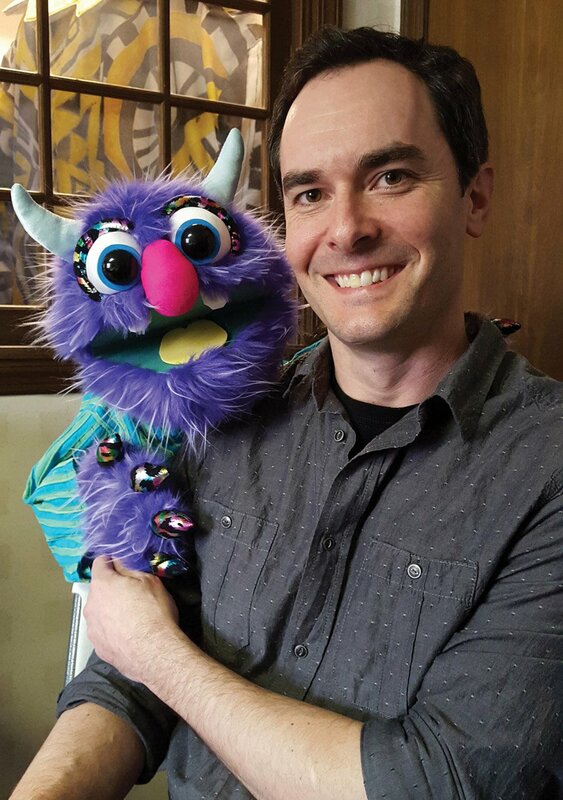 “We want to be building an audience for puppetry in Cincinnati in our own space,” he said. “We want to bring puppet theaters and artists from all over the world and introduce our audiences to them. We want to host puppet festivals, maybe ‘open mic’ nights for artists to create puppet pieces. 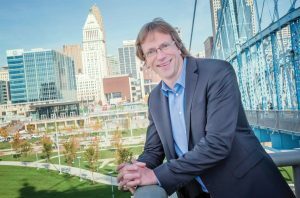 Shelton hopes his company will expand the circle of artists it collaborates with, helping to strengthen Cincinnati’s arts community. 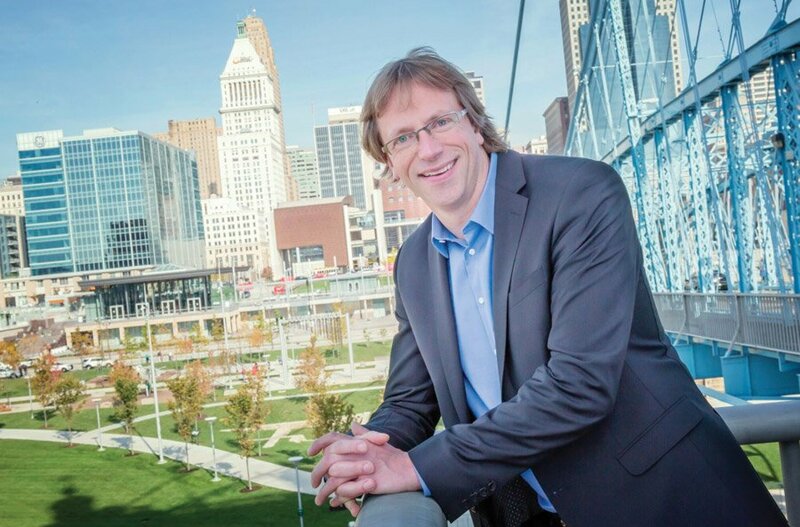 “It’s all about building a puppet culture in Cincinnati,” Shelton said. Juanjo Mena is sitting in his hotel room, just hours away from a big concert with the Montreal Symphony, and what is he doing? 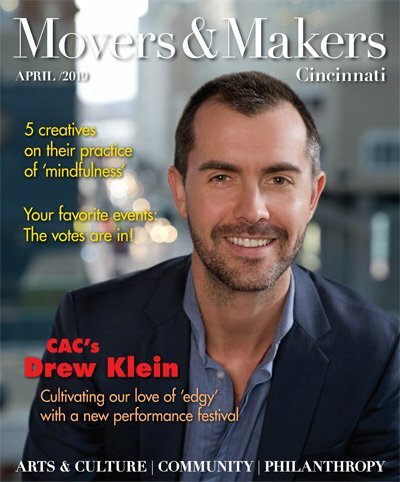 He’s poring over programs of the Cincinnati May Festival from the past decade and a half, analyzing the repertoire to plan concert programs for future festivals. 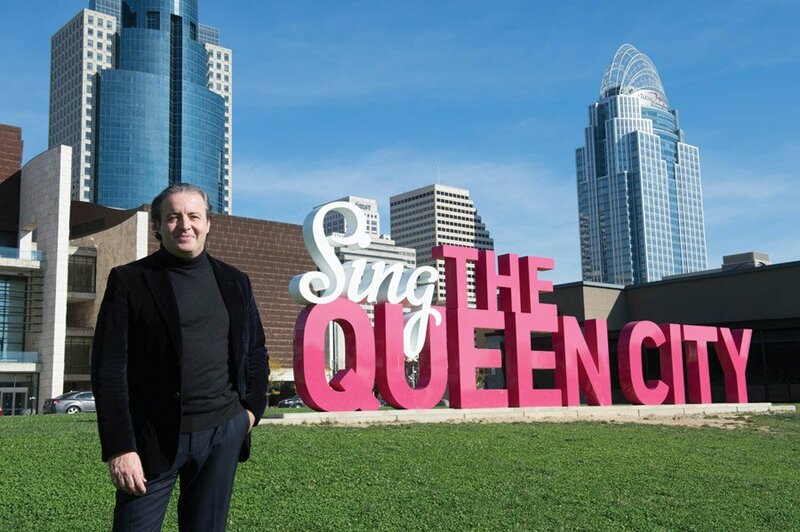 It’s clear that the Basque-born Mena, who has collaborated with the Cincinnati Symphony Orchestra and May Festival Chorus several times (most recently in Beethoven’s “Missa Solemnis” in October), has formed a strong bond with Cincinnati’s long-running choral festival and the musical tradition it represents. That bond really took hold for him, he recalls, with performances such as Ravel’s “Daphnis et Chloe” with the chorus and the CSO. Mena’s lifelong love for choral music – a big part of Basque society from the church to social clubs to the streets – also factored into his decision. 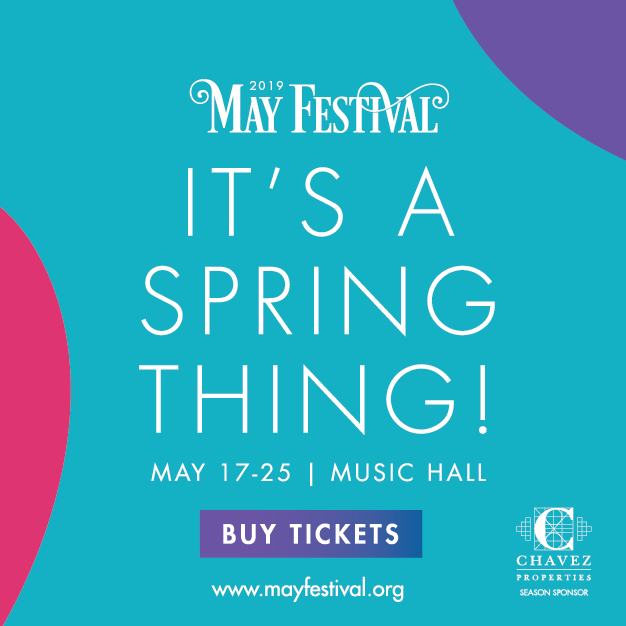 Mena talked to fellow Spaniard Jesus Lopez-Cobos, a former CSO music director, several times about the festival and orchestra and community. “It was all very positive,” Mena said. Does that mean big changes in how the festival is presented? “We must have respect for what happened in the past,” said Mena. “But what I can bring to the festival is a new energy, a new perspective.